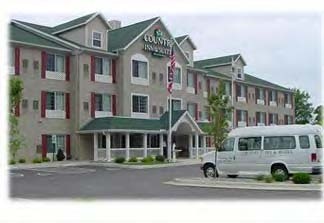 Relax in comfort while remaining near area attractions at the Country Inn & Suites By Carlson, Columbus Airport, OH. Guests enjoy renovated d�cor and thoughtful services like a heated indoor pool, the complimentary, hot Be Our Guest Breakfast buffet and free high-speed Internet access from our hotel in Columbus. Less than five minutes from the Columbus, Ohio airport (CMH), this hotel�s location is ideal for business and leisure travelers alike. The hotel also offers meeting space, group discounts and easy access to local attractions like Ohio State University, the Columbus Zoo, Easton Town Center and the Greater Columbus Convention Center.